Wheel weights—the unassuming metal bars added to your wheels by your local mechanic when rebalancing your tires—are a big source of lead in our communities. They easily fall off tires on roads, highways, and driveways, and begin shedding particles of toxic lead in as little as two weeks. That lead ends up in our soil, streams, and homes. The United States Geological Survey has estimated that every year 4.4 million pounds of lead enter our communities due to wheel weights. A team of intrepid young scientists in a South Carolina robotics league decided to do something about it. 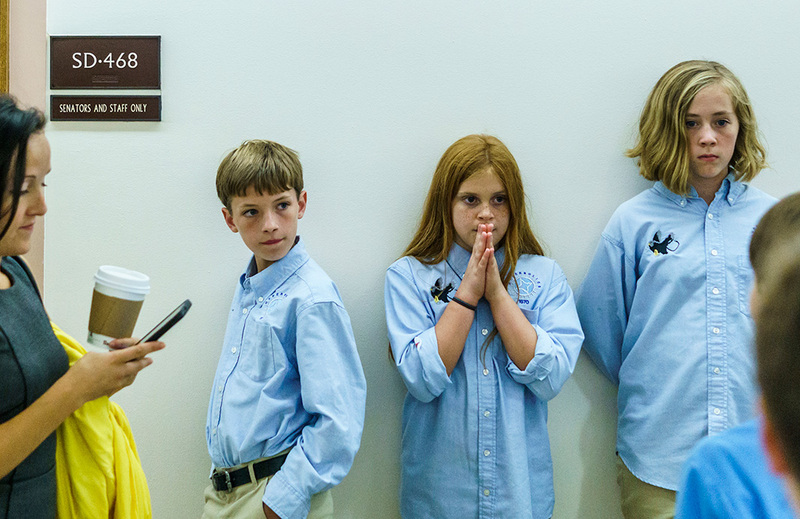 While many kids might visit Washington, D.C., on a school field trip, these students were at the nation’s capital this month to urge the U.S. Environmental Protection Agency and Congress to ban neurotoxic lead in the wheel weights on our cars. 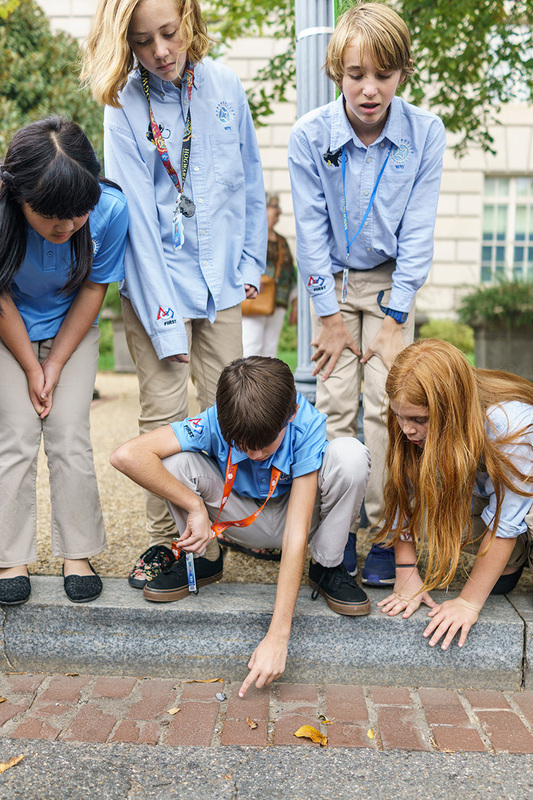 Their journey started in South Carolina, where the Hyperbolics, a FIRST® Lego® League robotics team, began to research real-world problems for a team science project. That seed grew into a public campaign to ban toxic lead in wheel weights. Proving how common discarded wheel weights are, the Hyperbolics found a lead wheel weight less than a block from the EPA’s front door and brought it into their meetings. 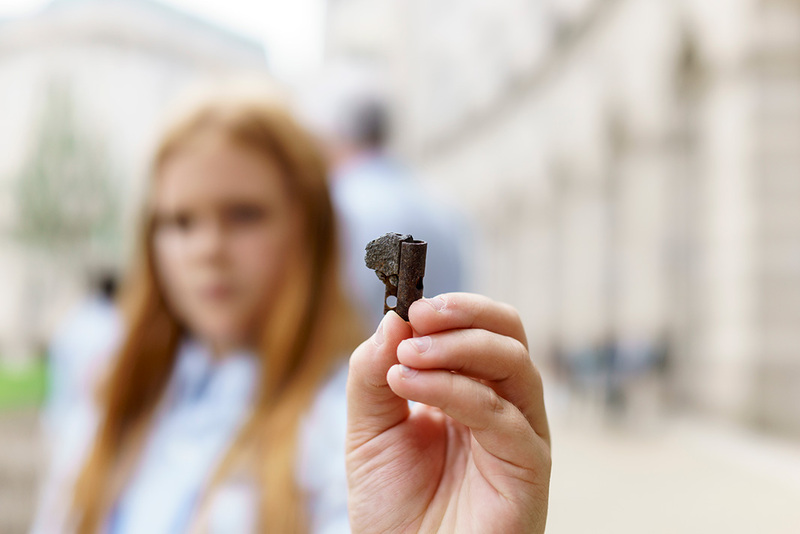 Above, Elliot Turner pointed out a fragmented lead wheel weight he and his team found along Constitution Avenue. Through Get The Lead Out, the Hyperbolics’ campaign in their home state, a bipartisan bill was introduced in South Carolina to phase out the use of lead wheel weights. 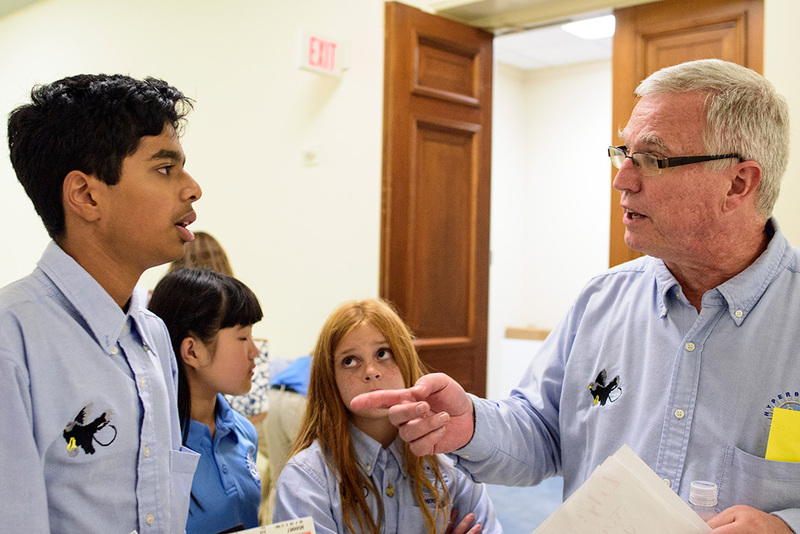 During the campaign, the students learned that lead is a danger for kids all across America and that the EPA had stalled in its efforts to ban lead wheel weights. They then decided to take their campaign to Washington, D.C. The students put on their game face and got ready to make their case. 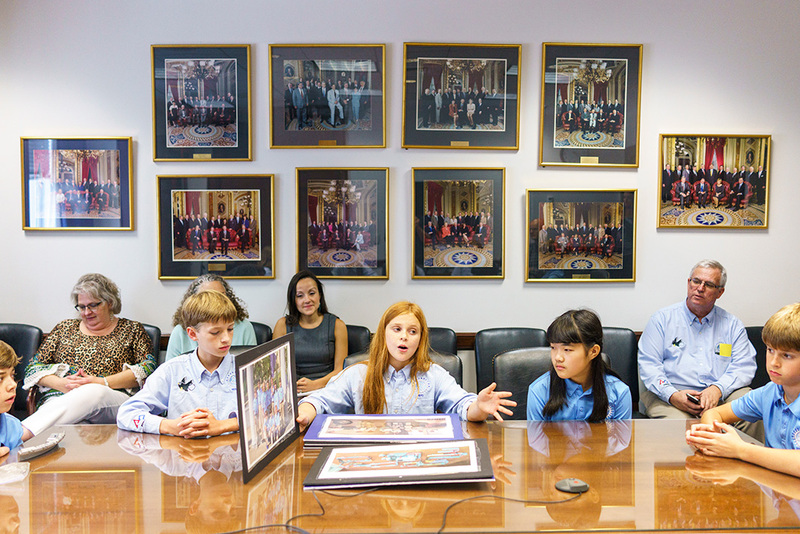 The first meeting of the day was with the EPA, where the students told agency officials about the dangers that lead wheel weights pose to their community. 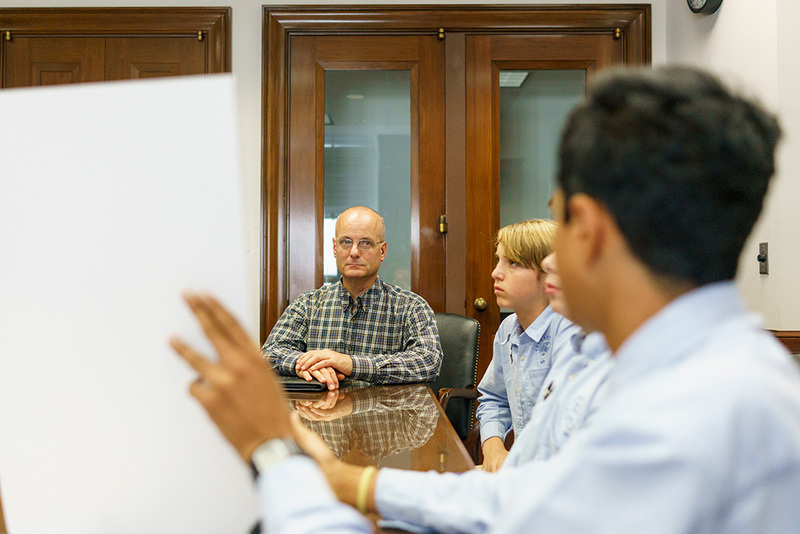 Next, they met with Senate Environment & Public Works Committee staff at the Dirksen Senate Office Building. Hyperbolics member Emma Turgeon presented some of the dangers of lead wheel weights to EPW Committee staff. Any exposure to lead poses serious health hazards, especially for young children. Lead poisoning can create developmental disabilities, seizures, hearing loss, kidney failure, and behavioral problems in children. The Centers for Disease Control estimates that over half a million children in the United States have levels of lead in their blood high enough to require a medical intervention. 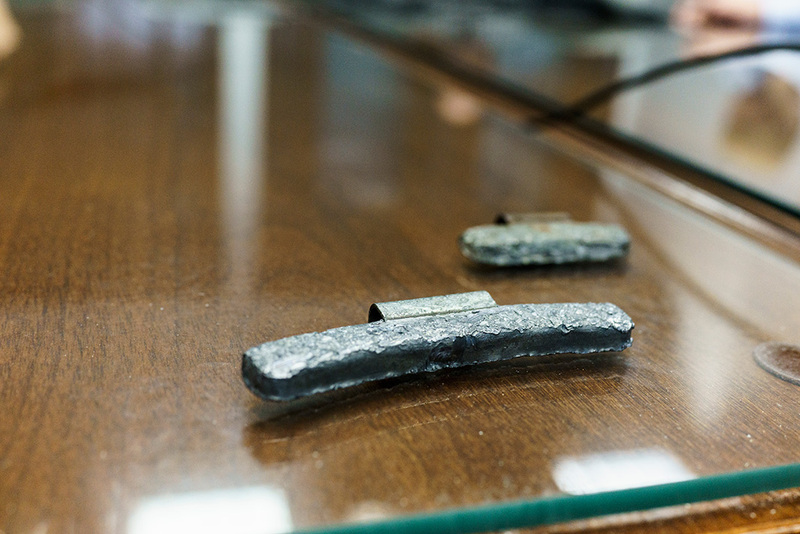 Members of the Hyperbolics presented one of the broken lead wheel weights they found that day on Constitution Avenue, laid next to an intact lead wheel weight found earlier. The young advocates took turns laying out their case for protecting kids and the environment from more lead contamination. The presence of the weights served as strong evidence for just how prevalent this problem is. Hyperbolics member Rohit Rajagopalan (foreground) discussed industry support for banning lead wheel weights with EPW Committee staff member Tom Fox. The team originally began their campaign by meeting with local tire shops in South Carolina. They soon earned support from wheel weight manufacturers and retailers such as Plombco, Hennessy Industries, and Bridgestone Firestone. Wheel weights are easily manufactured with alternative metals, including steel, with virtually no difference to cost. While EPA has been slow to act on lead wheel weights, seven states (California, Illinois, Maine, Minnesota, New York, Washington, and Vermont)—and all of Europe—have rejected this harmful and unnecessary use of toxic lead. Eve Gartner (second from right), one of Earthjustice’s litigators fighting communities’ exposure to toxic chemicals, and Andrea Delgado (right), Senior Legislative Representative at Earthjustice, listened as the students made their presentation. Protecting children, workers, consumers, and communities from toxic chemicals is a priority for the Healthy Communities team at Earthjustice. To this end, the team is working to uplift the voices of impacted communities and connect them to decisionmakers. 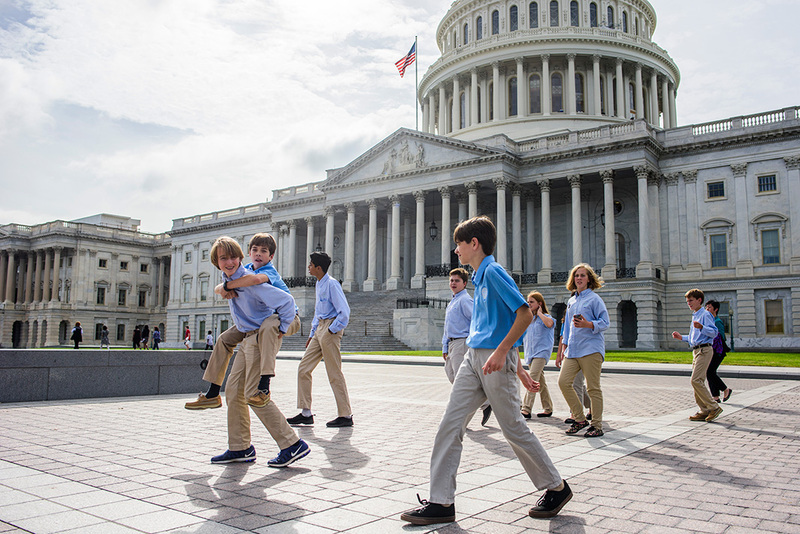 Gartner and Delgado helped coordinate meetings on Capitol Hill, and mentor the students on the fundamentals of advocacy and the role that Congress and the Administration play in establishing laws and regulations that protect children from chemicals. For years, Earthjustice has been advocating and litigating to protect children from exposure to numerous sources of lead, so working with these students was a perfect fit. Undeterred by federal agencies’ sluggish pace on lead, this team and their coaches are devoted to preventing unnecessary lead poisoning in communities. 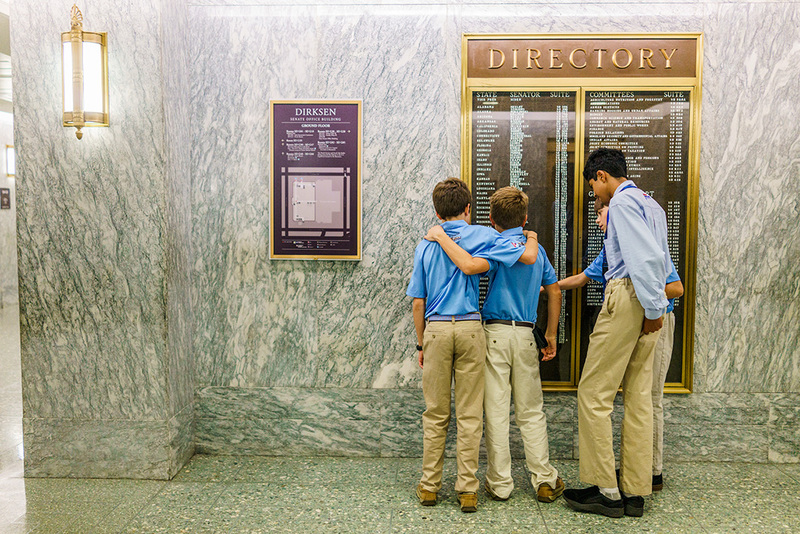 The students’ crash course in maneuvering the politics of Congress included a crash course in navigating the labyrinth of congressional office buildings. Above, the students took a quick break from figuring out where the next meeting was to figure out the location of Senator Bernie Sanders’ office. 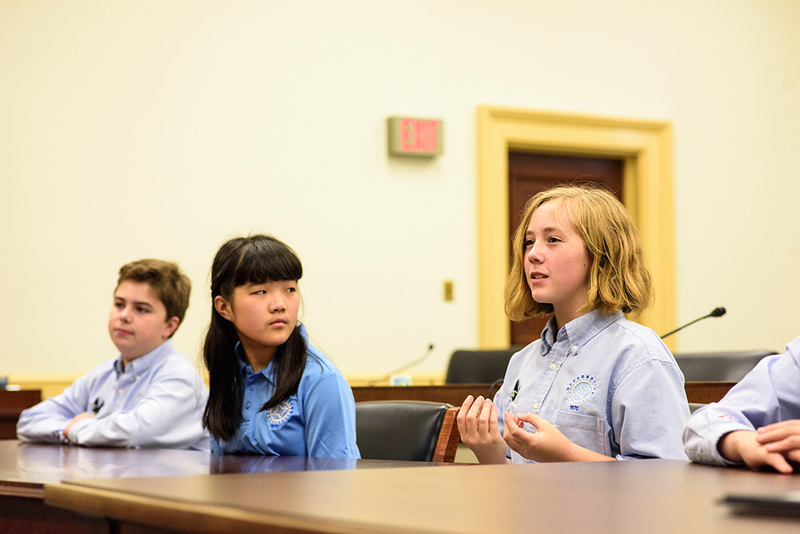 Lily Brown made the team’s case at the final meeting of the day with the House Energy & Commerce Committee staff, at the Rayburn House Office Building. Under the revised Toxic Substances Control Act, EPA has new authority to prioritize lead as one of ten priority chemicals for immediate risk evaluation and action. The team made their case for making lead a priority chemical under the recently revised law. Doing so would give EPA the authority to ban or significantly reduce the manufacturing, processing, distribution, use and disposal of lead—including its use in wheel weights. “Keep doing this, and you can take my job!” Earthjustice's Andrea Delgado told Emma Turgeon as they walked out after a meeting. 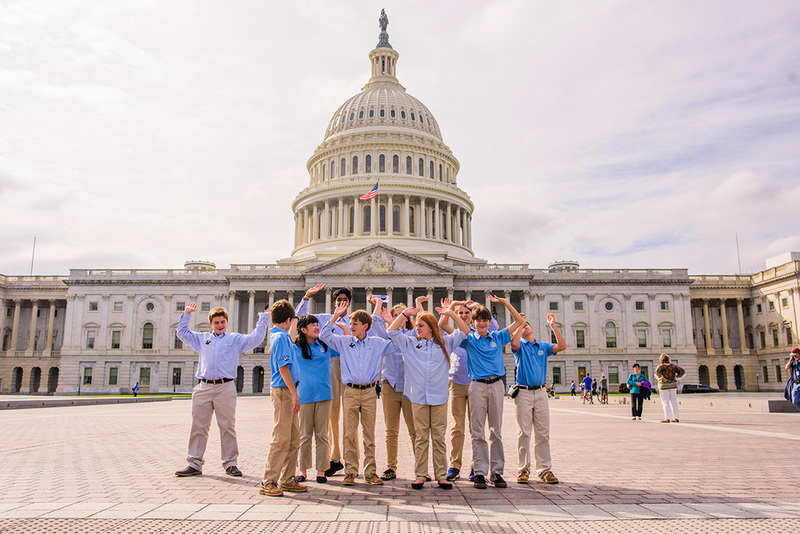 Members of the Hyperbolics mimed holding up the U.S. Capitol building. 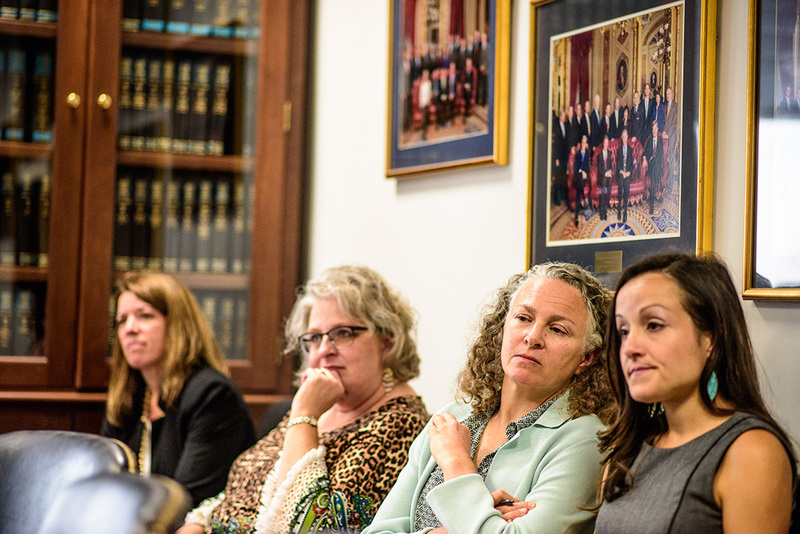 Emotions were high after a full day of advocating for reducing lead exposure and lead poisoning for kids just like them. The Hyperbolics left their mark on D.C., and are already planning next steps in their campaign to ban toxic lead wheel weights. Show your support: Leave a comment below, and visit the Hyperbolics' website at SayNoToLead.com!